Torque is a work truck’s best friend. This measurement, which indicates the amount of twisting force an engine generates, tells the truest tale of how much power the motor possesses. It’s also the number you need to concern yourself with if you plan to regularly tow or haul heavy things with your truck. Big horsepower numbers ensure quick acceleration and high top speeds, but torque does the grunt work. Typically, torque has been the domain of the V8, with six-cylinders being the base engine in most full-size trucks for many years. Ford is taking a new tack with the 2011 F-150, offering a turbocharged V6 as an alternative to (though not at the exclusion of) V8 power. It’s part of the company’s EcoBoost engine program, which will see smaller-displacement turbocharged powerplants offered alongside more traditional engine options in a variety of vehicle types. 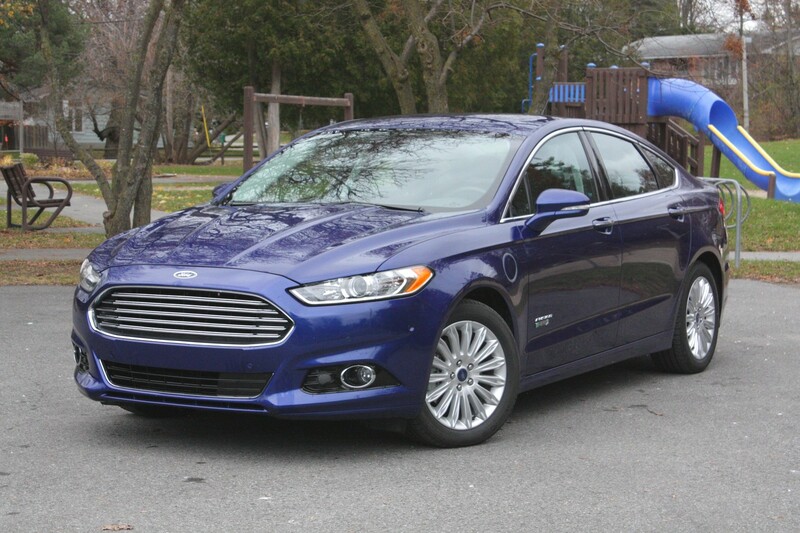 Among the first Fords to get EcoBoost action were the Taurus SHO and Flex, and the Lincoln MKT, all of which use the same turbocharged, 3.5-litre V6 found in the F-150 pickup I tested a few weeks ago. In the F-150, the EcoBoost motor makes 365 horsepower and 420 lb-ft of torque, more of both than the 5.0-litre V8 (360 hp/380 lb-ft) that’s also available produces. For drivers after as much power as they can get, but happy to gloat that their more-potent motor is also more efficient, maybe this motor should be called EgoBoost. Whatever the name, it’s presumably a boost to Ford’s bottom line, as the company’s strategy is to market its turbocharged engines as an upgrade from a similarly-potent non-turbo engine. Hence, this turbo six is a $1,000 option compared to the 5.0-litre. On paper, $1,000 for five horsepower and 40 lb-ft of torque sounds like a raw deal, but in practice, at least from a performance perspective, it seems like money well-spent. The EcoBoost’s higher torque output comes at a lower engine speed – 2,500 rpm, versus 4,250 for the 5.0-litre’s 380 lb-ft – and the result is a truck that is very responsive from a stop. The available low-end grunt is such that, when using the transmission’s manual shift mode, the engine pulls strongly even without shifting down from top gear at near-highway speeds. 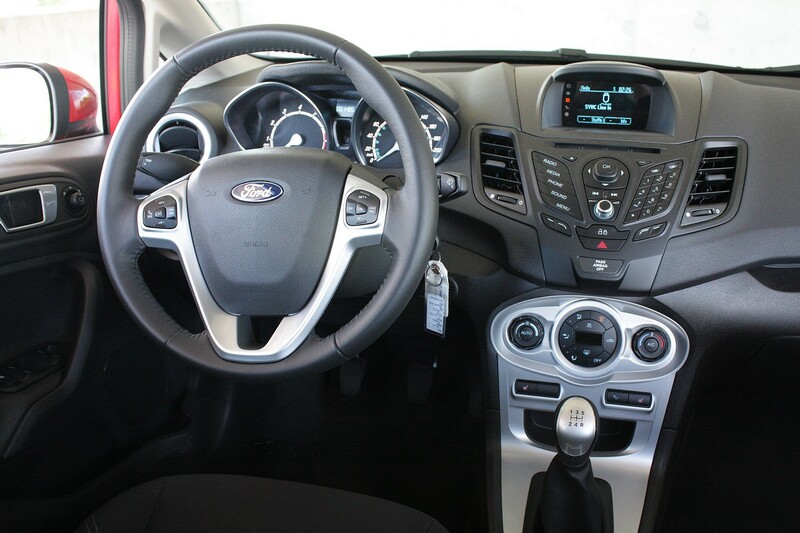 That transmission is a six-speed automatic, the only one offered in any F-150. 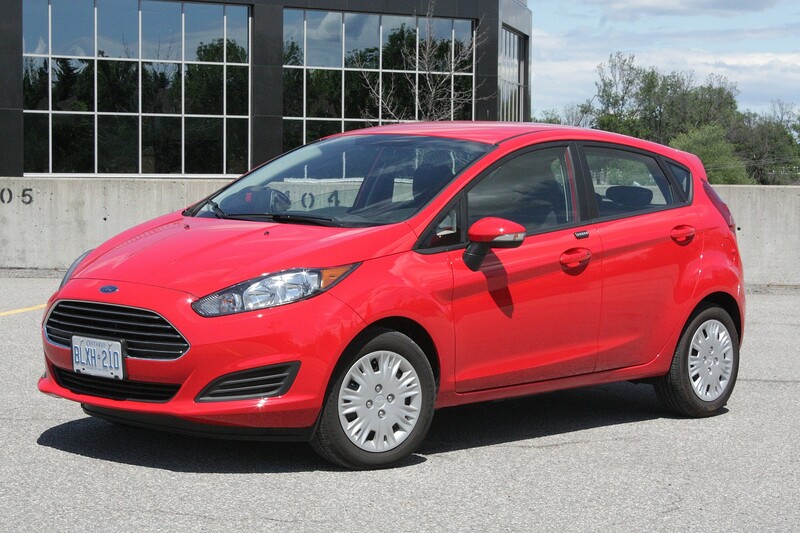 It works well in normal driving, but the first-to-second upshift gets harsh when creeping along at gridlock speeds. My suspicion is that this transmission was designed for heavy hauling, not the 9-5 commute, and so silky-smooth performance in such conditions wasn’t a priority. With power and torque figures not far off those of the 5.0-litre V8, Ford says the EcoBoost’s main benefit is in fuel consumption; the idea is that a smaller engine with a power-adder like a turbocharger should use less fuel than a V8 with similar power numbers. The F-150 EcoBoost’s government fuel consumption ratings are 13.9/9.4 L/100 km with four-wheel drive; by comparison, the less-powerful 5.0-litre 4×4 is rated 15.0/10.5. 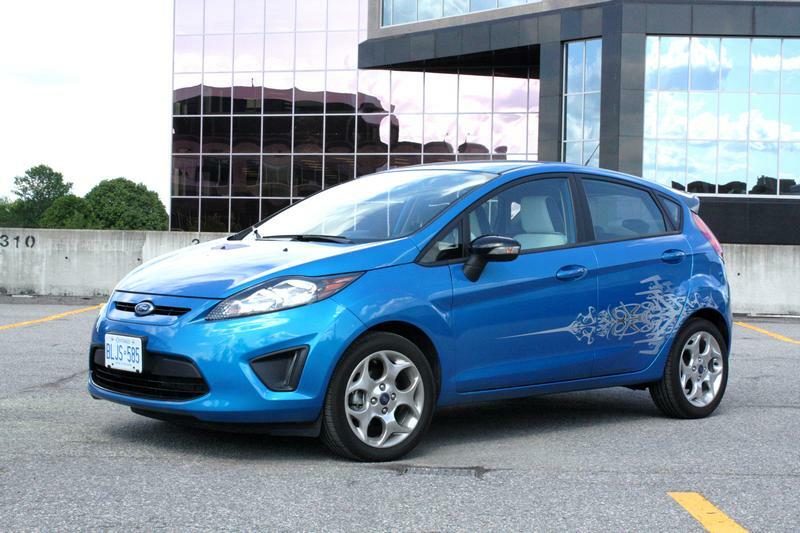 My EcoBoost tester averaged 15.5 L/100 km in a mix of city and highway driving. I think that’s a good result for a truck like my massive SuperCrew tester, and while you could expect that the 5.0-litre would have been thirstier in the same circumstances, don’t get your hopes up that the EcoBoost mill will turn this truck into a Prius at the pumps. 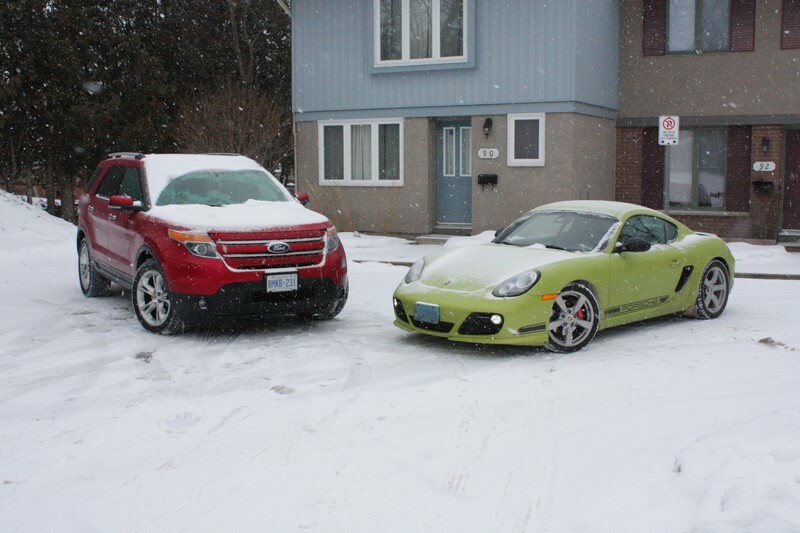 The last F-150 I tested was a 2009 with the old 5.4-litre V8, a truck that averaged 21 L/100 km in winter driving. A 2011 F-350 Super Duty with the latest Powerstroke diesel V8 managed an average in the high 16s last summer. The only flaw in this engine’s performance is a pretty superficial one: it lacks the auditory attitude of a V8, or even the snarkier-sounding 3.7-litre base V6. 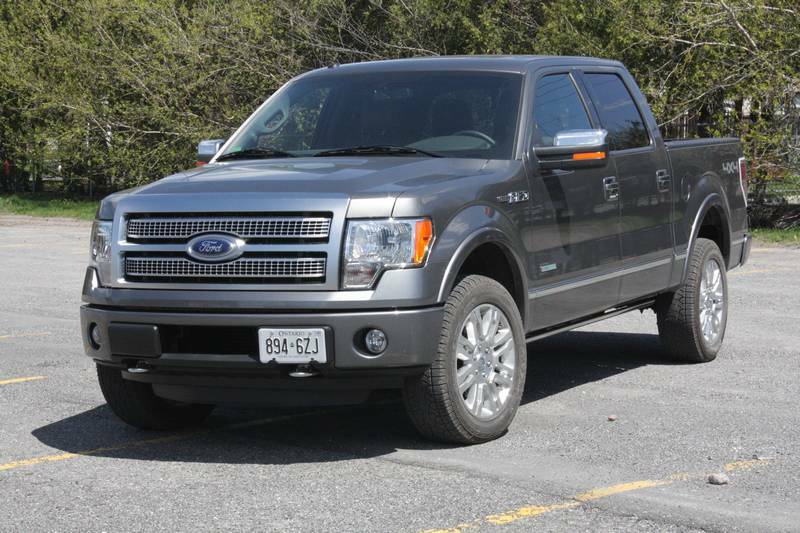 Aside from some turbo whistle at wider throttle openings, the turbocharged F-150 sounds more like a Taurus than a truck. 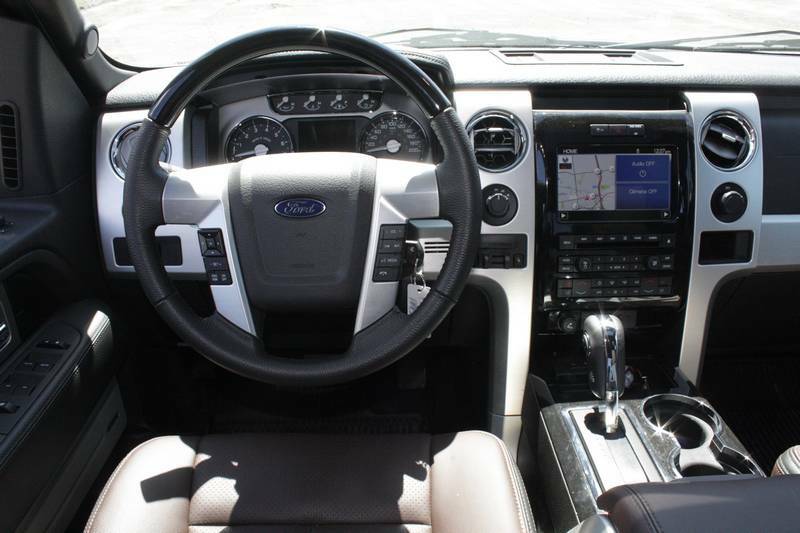 The F-150’s four-wheel drive system is an electronic setup controlled by a rotary dashboard knob; options are two-wheel drive, and low and high ranges in 4WD mode. 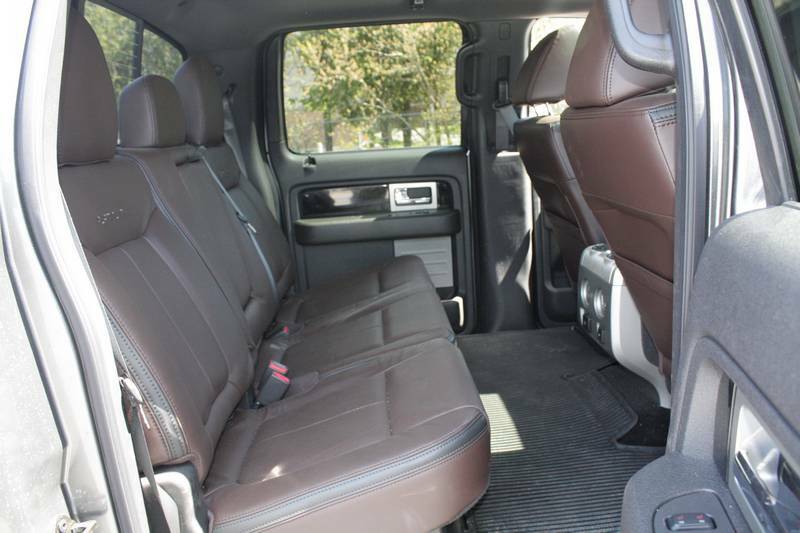 When optioned with the SuperCrew cab as my tester was, the cabin is huge, with the extra space going toward rear seat accommodations, which are as spacious as a full-size luxury sedan’s; think along the lines of a BMW 7 Series in terms of leg- and headroom. In Platinum trim, the interior is indeed luxurious, too, with brown leather on the seats, heated and cooled front seats and two-temp heaters for the rears. The brushed metal and black woodgrain trim on the dash and doors looks pretty slick, too. 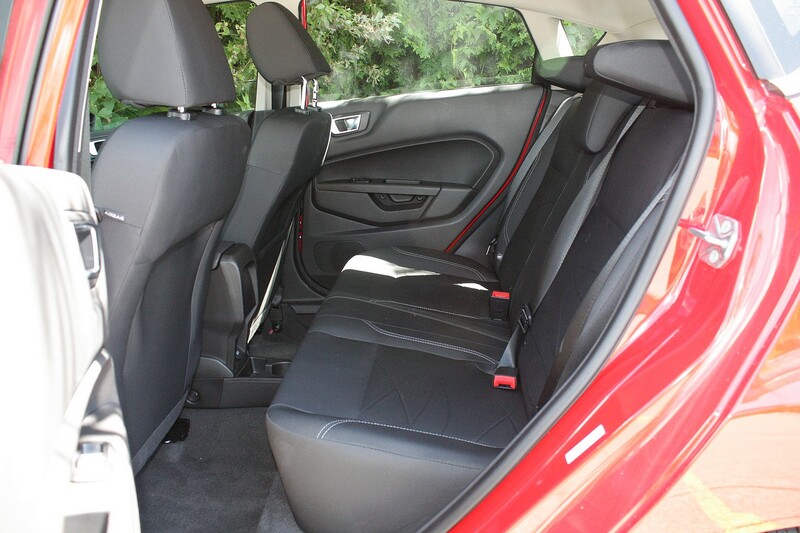 The cabin is wide, and so are the seats, making for easy comfort in the supportive front buckets. The rear seat should easily fit three average-sized adults. 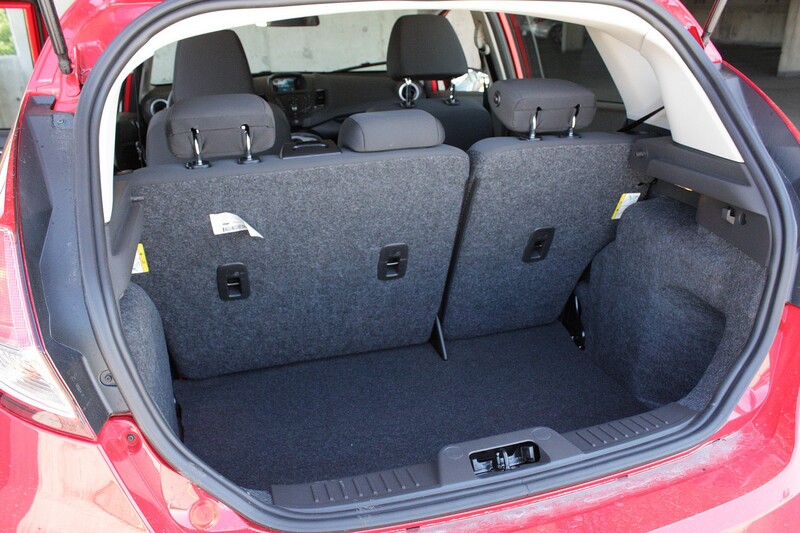 When you have more cargo than couples to bring along, the bottom cushions of the rear seats fold up, creating a terrific amount of space for bulky cargo that needs keeping dry. In my tester, the only impracticality back here was the (700 watt!) sound system amplifier, under the right-side rear seat. At least the stereo sounded great. This brings me to an opinion I share with friend and fellow automotive journalist Jil McIntosh. In her recent review of a 2011 Ram pickup she tested, her observation was that trucks have undergone a significant amount of bracket creep in the last 10 or 15 years. My F-150 tester is as large as a previous-generation F-350 Super Duty (I know this from parking beside one), while the current Super Duty is an order of magnitude larger than this one. 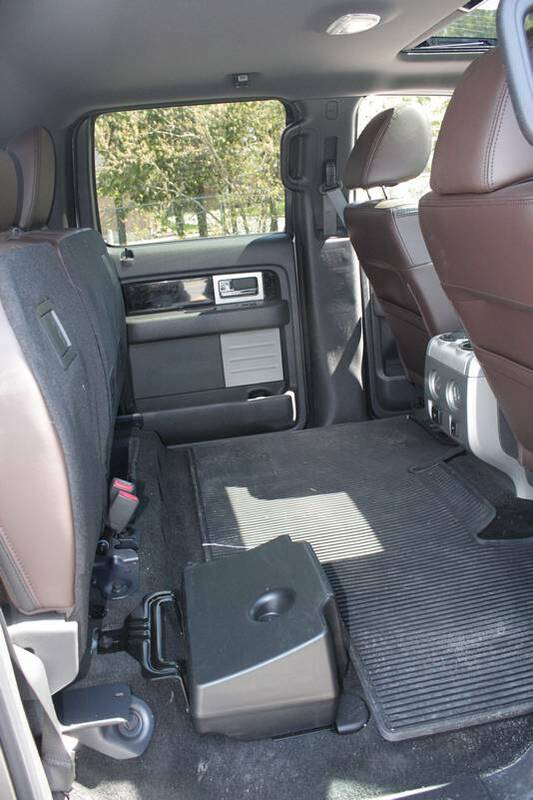 Bracket creep in the auto industry is normal, but trucks have grown in height to the point that my tester’s electric, retracting running boards are practically a necessity for getting in and out of the vehicle, unless you want to cart a stepladder around everywhere you go. Categorically, I’ve nothing against convenience features like this, but what I don’t see is a direct correlation between tallboy trucks and payload/towing capacity. The full-size truck segment is beginning to look too much like a game of mine’s-bigger-than-yours. EgoBoost, indeed. 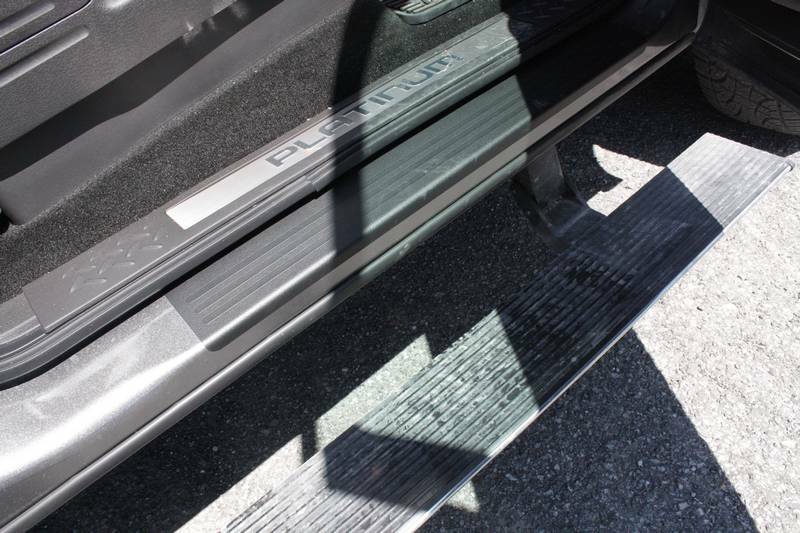 For the record, those power running boards (standard only in Platinum trim) can be deactivated to prevent them from deploying when they might get damaged – when parked over rough terrain, for example. With the EcoBoost engine, the F-150’s max payload is 943 kg (2,080 lbs), and towing capacity maxes out at 5,125 kg (11,300 lbs). Those figures are for the lighter, regular cab model; the extra weight of extended cabs and bigger boxes eats into those capacities, so my tester’s figures were closer to the minimums of 3,628 kg (8,000 lbs) for towing and 798 kg (1,760 lbs) of payload. My buddy Mark, who always has a home improvement project on the go, needed a bunch of concrete mix, so we took the truck to the hardware store and lugged a dozen bags (800 pounds/360 kg worth!) of the stuff into the bed, where it made a noticeable, but not dramatic, difference in straight-line performance, and a marked improvement over the empty truck’s ride quality. The SuperCrew cab can be ordered with either a 5.5- or 6.5-foot box; my tester had the shorter of the two, plus a bed extender that stretched the box to seven feet when in place. Ford’s foldout tailgate step and its attendant grab handle eased access to the bed. Even with what I think is a pretty small box for a big truck, the SuperCrew cab’s long wheelbase makes it a handful in tight situations. Mark noted a couple of things he’d change about this truck: he wanted kick-out steps at the side of the box, for easier access to the contents without having to climb into it. 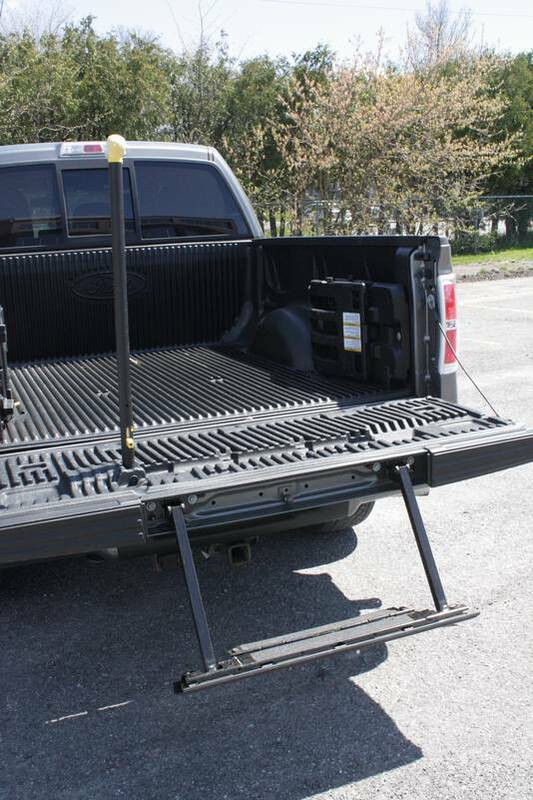 And he made a good point about Ford’s tailgate step: when it’s deployed, it gets in the way of someone on the ground passing heavy stuff up to a partner in the truck bed. His suggestion was to offset it to one side of the tailgate so that it doesn’t have to be stowed again before loading stuff into the bed. The steering is light, but road feel is negligible and it gets vague on-centre, which leads to some lane wandering at highway speeds. Strong brakes are as important in a big, heavy truck as in a sports car capable of high speeds; the F-150’s binders haul things down to a stop with confidence, minimal fuss, and great pedal feel. 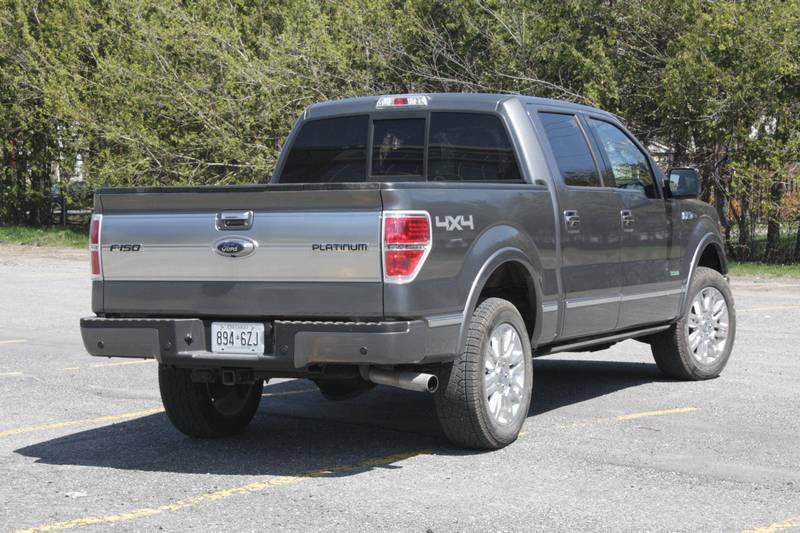 F-150 SuperCrew pricing starts $35,199, which includes the base, 3.7-litre V6 engine. 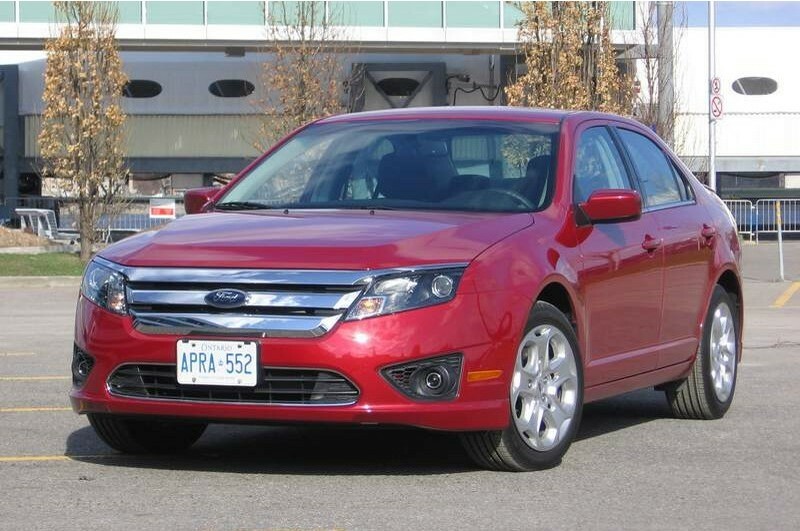 My tester was a well-loaded Platinum model, at an MSRP of $60,499, plus $1,000 for the EcoBoost engine, $350 for the bed extender and $900 for a trailer tow package that adds a class IV hitch, seven-pin wiring harness, SelectShift (automatic with manual shift function) transmission and upgraded engine and transmission cooling; as tested, my truck was worth $64,399, including $1,450 for freight. Outside of diesel and high-performance models, turbocharging is a rare tactic in the truck market. In this case, the EcoBoost six has big power to match the F-150’s imposing stance; all that’s missing is the gutsy V8 soundtrack that I think provides the biggest boost to many a truck owner’s ego. 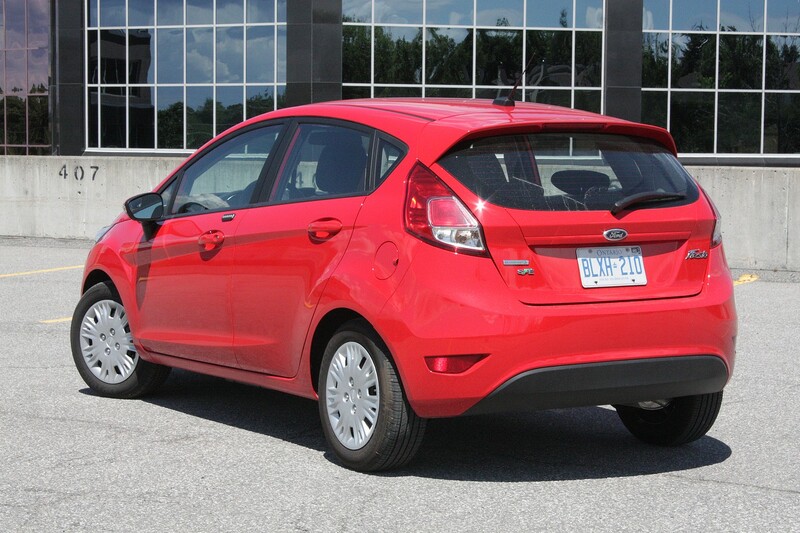 This review was previously published at Autos.ca.